Certain avian species such as captive psittacines have been reported to be more at risk for Aspergillus infection. An acute presentation of aspergillosis can occur from an overwhelming concentration of fungal spores, whereas a chronic case is typically due to immunosuppression. Aspergillosis initially affects the air sacs because of the bird’s unique respiratory system. Typically, birds present with vague and nonspecific signs (depression, inappetence, difficulty breathing, reluctance to fly/perch, drooped wings). Initial physical examination findings typically include weight loss, respiratory abnormalities (dyspnea, tachypnea, cyanosis), lethargy, polyuria/polydipsia, vocalizing, open-beak breathing, tail bobbing, and/or enlarged nares. FIGURE 1. Ventrodorsal radiograph of an eclectus diagnosed with aspergillosis. Soft tissue opacities can be appreciated in the cervical region of the coelom. FIGURE 2. 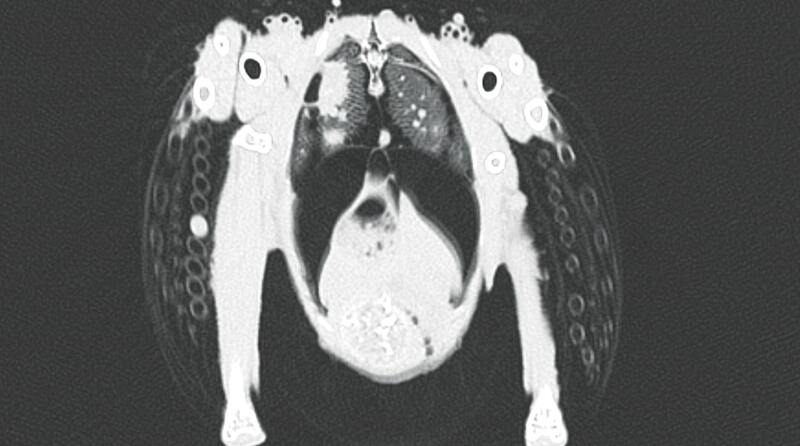 CT scan of the eclectus parrot shown in Figure 1 diagnosed with aspergillosis. Note the detailed view of the lesion compared with the radiograph in this image. Noninvasive imaging—radiography, computed tomography (CT), and magnetic resonance imaging (MRI)—can help determine the location and distribution of potential lesions; however, images from these technologies cannot confirm the disease. Lateral and dorsoventral radiography is helpful for evaluating the lungs and air sacs (lower respiratory tract).2 A late-stage infection can have radiographic evidence of multiple soft tissue densities (granulomas; FIGURE 1). Asymmetry, the thickness of air sac walls, hyperinflammation, consolidation, and soft tissue density in the lungs/air sacs can be observed.1,2 Radiographic evidence is not ideal for detecting short-term improvement.3 CT and MRI can be useful for viewing exact lesion locations (FIGURE 2); however, such testing is associated with a higher financial burden and often requires anesthesia or heavy sedation. FIGURE 3. (A) Endoscopic photo of an aspergillosis granuloma in a wild red-tailed hawk. (B) Close-up view of the same granuloma. Initial supportive treatments typically include stabilization, stress reduction, and collection of adequate samples to confirm the diagnosis. FIGURE 4. Necropsy photo of aspergillosis lesions in the coelomic cavity (liver, air sacs, heart lesions) of the hawk in Figure 3. Initial supportive treatments typically include stabilization, stress reduction, and collection of adequate samples to confirm the diagnosis. Once the patient is stabilized and the diagnosis is confirmed, specific treatment can be administered. Antifungal therapy is typically prolonged and can last several months.1,3 Routes of administration include nebulization, oral, parenteral, and topical. Medications of choice include amphotericin B, itraconazole, fluconazole, clotrimazole, and terbinafine hydrochloride.1 Ideally, antifungal choice should be based on a sensitivity test. Dr. Mayer uses the Fungal Testing Laboratory at the University of Texas in San Antonio to verify that the fungus is susceptible to the chosen antifungal agent (strl.uthscsa.edu/fungus). Amphotericin B can act as a fungistatic or fungicidal depending on its dosage, and it must be diluted with water before administration.2,3 It can be systemically toxic because it binds to cholesterol.3 Because of poor bioavailability, it must be given via the IV route. A variety of dosages can be given (BOX 2). Amphotericin B is the drug of choice that can be administered directly into the granuloma during endoscopic evaluation. Clotrimazole, a fungicidal and fungistatic, and terbinafine hydrochloride, known to penetrate mycotic granulomas, may also be good therapeutic choices (BOX 2). Ketoconazole, a fungistatic with known resistance in the population. Enilconazole, a fungistatic and fungicidal that can be used as a prophylactic or aerosolized treatment at a dose of 2 mg of medication per 1 mL of saline q12h for 30 minutes or an intratracheal dosage diluted and administered at 0.5 mL. Vaccination (eg, killed, whole cell) has been attempted through various routes (intramuscular, transcutaneous, subcutaneous), but results were variable and inconclusive.4,9 No vaccine has yet been developed for immunization. Prognosis depends on the severity of each case (based on such factors as chronicity, immune status, and species).1 An uncomplicated case typically has a good prognosis. Months-long treatment is not uncommon. If the underlying source is not identified, a bird can be reinfected after successful treatment. Kirchgessner M. Aspergillosis. In: Tullyn JTN, ed. 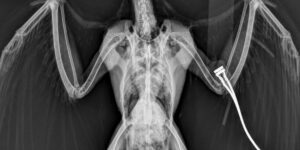 Clinical Veterinary Advisor: Birds and Exotics Pets. Philadelphia, PA: Elsevier; 2015. Fischer D, Lierz M. Diagnostic procedures and available techniques for the diagnosis of aspergillosis in birds. J Exotic Pet Med 2015;24(3):283-295. Krautwald-Junghanns ME, Vorbrüggen S, Böhme J. Aspergillosis in birds: an overview of treatment options and regimens. J Exotic Pet Med 2015;24(3):296-307. Tell LA. 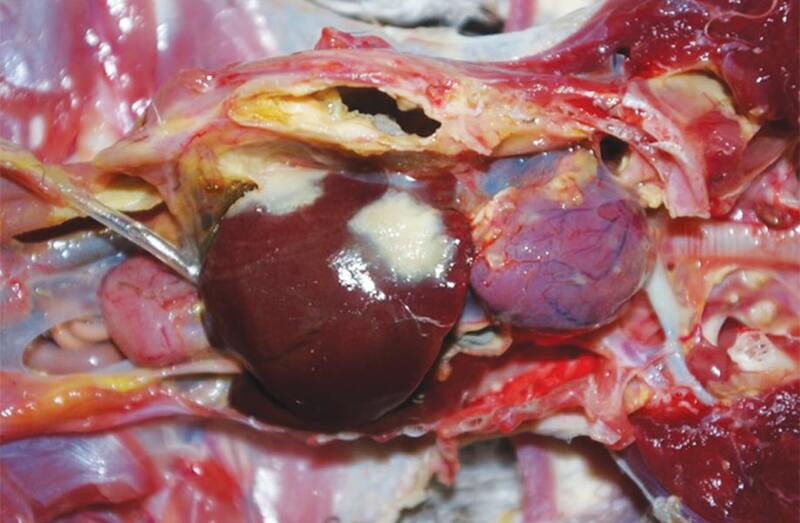 Aspergillosis in mammals and birds: impact on veterinary medicine. Med Mycol 2005;43(Suppl 1):S71-S73. Beernaert LA, Pasmans F, Van Waeyenberghe L, Haesebrouck F. Aspergillus infections in birds: a review. Avian Pathol 2010;39:325-231. Stanford M. Use of F10 in psittacines. Exotic DVM. 2001;3(4):18. Freedom of Information Summary: F10 brand antiseptic solution. Requested by Health and Hygiene Ltd. February 6, 2015. fda.gov/downloads/AnimalVeterinary/DevelopmentApprovalProcess/MinorUseMinorSpecies/UCM440013.pdf. Accessed December 2016. Standford M. Control of circovirus infection in psittacine birds using F10SC disinfectant and avian gamma interferon. The Facts 2006;(2). Feldmesser M. Prospects of vaccines for medically important fungi. Med Mycol 2005;43(7):571-587. Joyce Huang is a recent graduate from the University of Georgia College of Veterinary Medicine and is currently working in a small animal private practice. She received her bachelor degree in Wildlife Sciences at UGA. Her clinical interests include zoological medicine, wildlife medicine, surgery, and anesthesia. Joerg Mayer is associate professor in zoological medicine at the University of Georgia. He received his doctoral degree from the University of Budapest/Hungary; completed an internship in zoological medicine and surgery at the Roger Williams Park Zoo in Providence, Rhode Island; and completed a Master of Science degree in wild animal health from the Royal Veterinary College in London, England. He also served as a clinical associate professor and head of the clinical service for exotic animals for 10 years at Tufts University in Boston, Massachusetts. In 2013, he received the Exotic Speaker of the Year award by the NAVC. In 2016, he received the Oxbow/AEMV Exotic Mammal Health Award, an annual award to recognize excellence and innovation in the field of exotic mammal health.